Tolosa Beans are famous because of the weekly market in the town of Tolosa, which has been held since 1,256 CE. Travelers from neighboring provinces had to pass through Tolosa on their way to France, so the reputation of the high-quality legumes spread. Tolosa beans can range from a dark purple to black. Until the second half of the 20th century, beans were a daily part of the Spanish diet. Industrialization and a rise in the standard of living resulted in a reduction in the amount of beans a typical Spanish family ate. Today, the Spanish diet is changing once again. Nutritionists are encouraging the consumption of beans as part of a healthy diet, and there is a renewed interest in traditional Spanish regional cuisines. 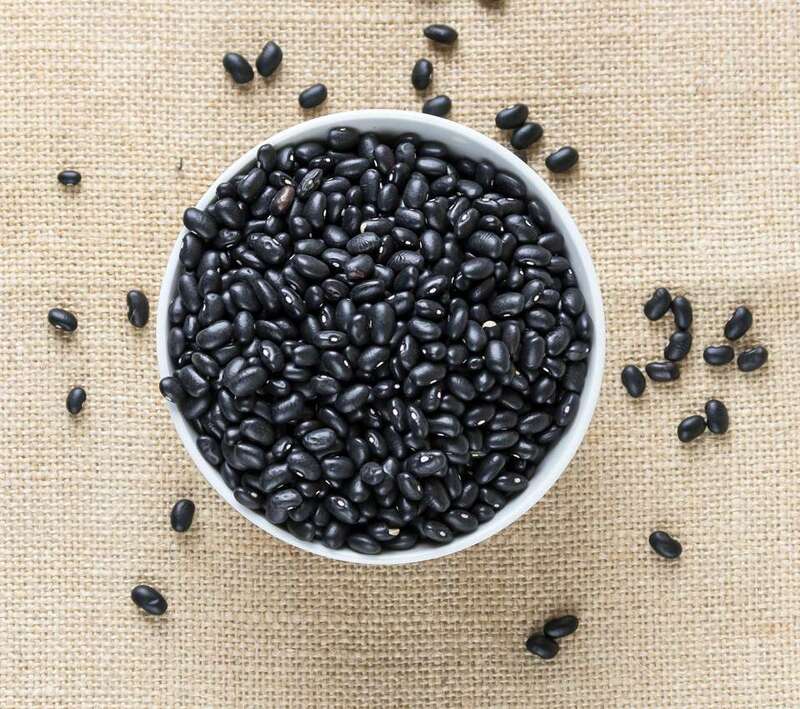 This recipe for Alubias Negras de Tolosa is a simple recipe, which can be made with any dried black bean available in local markets. After soaking, simmer in water, add Spanish chorizo and morcilla sausages. and finally mix in sautéed onions, garlic, sweet pepper, and leek. It is a satisfying main course and a perfect dinner for cold weather. Note: Any dried black bean can be used in this recipe. Tolosa beans can be purchased from ethnic grocery stores or through Spanish food sources online. Rinse beans. Place in large pot and add cold water at least one inch on top. Soak the beans overnight (or eight hours) in the water. Rinse the beans and add more water to cover. Add olive oil, heat to a boil, then reduce heat and simmer on low for about 45 minutes. Check frequently and add water to cover as necessary. Prick each sausage with a fork to release flavor and add to the beans, along with the white wine. Continue simmering for another 15 minutes, adding water as necessary. While beans are simmering, chop onion and green pepper. Peel and slice garlic cloves. In a large skillet, heat olive oil on medium and add onion, pepper, and garlic. Slice the white portion of the leek very thinly. Sauté until onion is translucent. Add leek and continue to sauté for three to four minutes. Add sautéed vegetables to beans and mix thoroughly. Simmer for another five to 10 minutes. Beans should be soupy, so add a bit of water if necessary. Serve hot in wide soup bowls. Serving suggestion: Cut morcilla sausage into quarters and divide between bowls. Serve with rustic bread and a light green salad.